All of our simulators arrive with a 1-year warranty (applies worldwide). We can offer an extension to your 1-year warranty as well as additional service contracts; typically we will quote for 3-5 years. Please get in touch if you would like more information. 1> Q: Why use a simulator? A: Our machines will allow novice riders to learn and more experienced riders to continue to improve on specific aspects of their riding, honing their skills. Racewood has supplied simulators into most of the top Race schools around the world and to many prestigious equine colleges, as well as to individual instructors and trainers. 2> Q: Are they realistic and what what can I learn? 3> Q: How is it controlled? A: Our simulators can be controlled by the rider or an instructor; motorised simulators will have controls positioned on the side of the body-shell and some models have a separate handheld controller. 4> Q: Are the simulators safe? A: Used correctly simulators are safer than real horses (they don't have minds of their own) - they are very well behaved! 5> Q: What is the size of the Simulator? 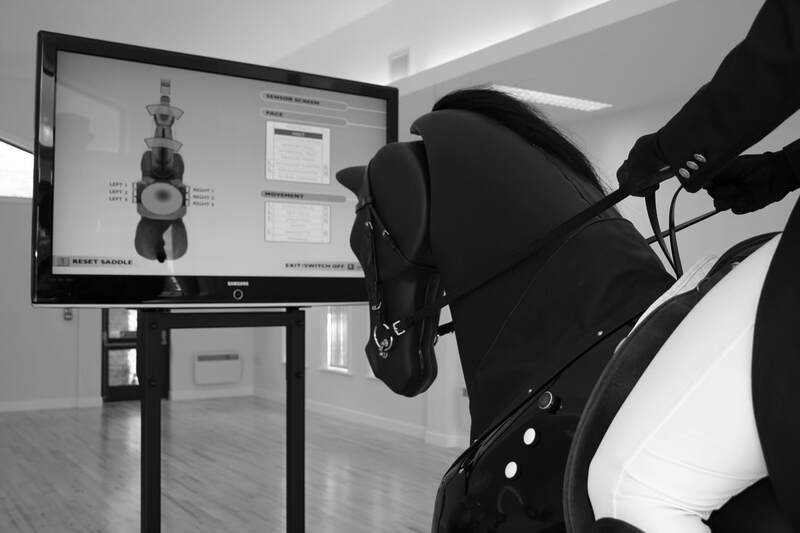 A: Please contact our office for any specific dimensions required, but as a guide our general Riding Simulators (including Dressage) would be classed as a 15 hands horse; the Dressage Simulator will measure just under 1.9m to the ears and 2.5m from the rear of the horse to the TV bracket. 6> Q: What is the room height need to run them? A: Our general Riding Simulator can operate in a normal 8 foot room (2.5M) but taller is better. Racehorse simulators sit much lower and will fit into most classrooms. The Polo Simulator would need at least 13m of headroom to enable a full swing! Please contact our office for detailed dimensions for each of our simulators. 7> Q: What is the power requirement of the Simulator? A: Any motorised simulator that we produce is designed to operate on a voltage range between 210-240v (50-60Hz). All of our machines are built in the UK so final set up and testing is completed using standard UK mains voltage: 240v. Our simulators will arrive with a standard British plug (fused) for domestic use. Ahead of Jumping/Eventing simulator instalments we will need to know the precise voltage that will be supplied locally - this is because the 'Jumper' requires 240v and ahead of departure we will need to correctly wire the simulator specific to your power (range needs to be between 210v - 240v). 8> Q: Are the machines reliable and is there a warranty period? A: All Simulators have a 1-year on site warranty (worldwide). We can offer extended warranty packages, for more information please contact our office for a quote (+44 1829 732006). Lots of our machines are sold to customers who use them day to day as part of their business, so they are put to work straight away. Our machines are over engineered using industry-spec components to ensure reliability - we have lots of our very earliest simulators still in use! 9> Q: What needs to be done to the Simulator to keep it running? A: Depending on the model, we offer an annual service to keep your Simulator in peak condition. This is the best way to ensure that your machine is in peak condition As long as the simulator is installed correctly and all relevant instructions are read & understood, we're confident that with careful and safe use, your machine will be a really useful asset for a long time. Some work can be done by you, but ahead of attempting to carry out any work on your own, we recommend contacting one of our members of staff for advice e.g. changing or upgrading a computer. We would advise you on the safe places to open and access where the computer sits etc. 10> Q: What about assembly and installation? A: When purchasing a Racewood Simulator we can quote for one of our members of staff to install everything for you. General Riding & Dressage Simulators can be installed by the new owner, using the assembly instructions that will be provided. We advise all groups who purchase Jumping Simulators to opt for a Racewood installation (quoted separate). Un-motorised units such as the RS & RT do not need installing, they arrive ready to be used (RT will require unfolding, but arrives with instructions). 11> Q: What tack is on the Simulator? A: All Simulators come with bridle, reins and girth straps positioned for either dressage or GP saddle. You will only need the saddle. 12> Q: What colours can you choose? A: A standard simulator will arrive with a glossy black bodyshell; others colours inc matte finish available on request. 13> Q: What are Racewood's terms of business? A: Deposit with order and balance upon completion, before shipping.